Newly crowned Group One winner Avilius has been nominated for another top-level race at Rosehill, heading the entries for this Saturday’s Tancred Stakes. 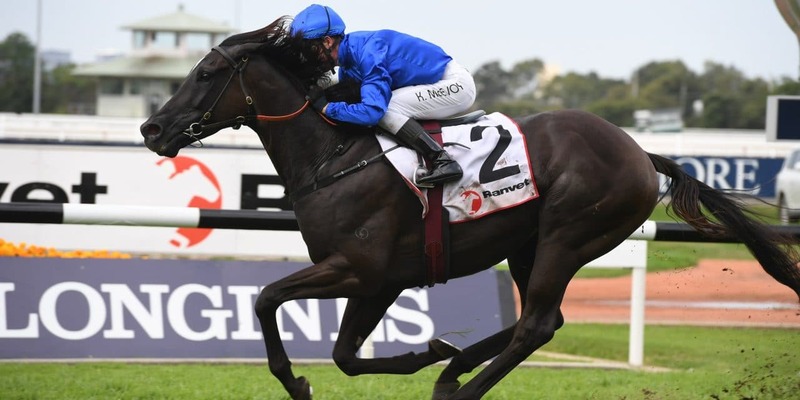 The Godolphin stayer won Saturday’s Ranvet Stakes and heads 19 entries for this weekend’s 2400-metre Tancred at Rosehill. Dual Group One winner Ace High, who finished nine lengths from Avilius in the Ranvet on an unsuitable heavy surface, is also nominated to back up along with several others. Nettoyer (fifth), The Taj Mahal (sixth) and Auvray (seventh) have been entered, along with three runners from Saturday’s Manion Cup (2400m) – Shraaoh (third), Doukhan (fifth) and Etymology (ninth). Trainer James Cummings said the next few days would be crucial in the decision whether Avilius backs up before heading to the spelling paddock next week. “History is against him backing as a winner of the Ranvet into the Tancred,” Cummings told RSN927. “Since they did change the programming of those two races it has proven to be extremely difficult for a horse to win on the seven-day back-up. The Ranvet was the five-year-old’s first race on a heavy track and he overhauled He’s Eminent to win by two and a quarter lengths. The Tancred could feature New Zealand interest through promising mare Rondinella, with Sam Clipperton booked for the ride. The Vinery Stud Stakes for three-year-old fillies is the other Group One race on Saturday’s Rosehill programme, with the formerly New Zealand-trained Verry Elleegant the $3.20 favourite. Saturday’s meeting also features the Gr. 2 Tulloch Stakes and Emancipation Stakes. There are also four Group Three races on the nine-race programme, which concludes the Golden Slipper carnival.